Find local North Carolina Rabbit Breeders using our rabbit breeders directory or add your North Carolina rabbitry to our list today. Proudly helping you connect with rabbit breeders in the great state of North Carolina and find rabbits for sale. This list is part of our state rabbit breeders index. Tar Heel Rabbitry is a small Youth based rabbitry located near Winston-Salem, NC. Our goal is to produce healthy Holland Lop rabbits that adhere to the breed standard. Our main focus is showing our Holland Lop rabbits. From time to time, we will have young rabbits for sale as well as some adults. Please email us for information and to check about rabbits we may have for sale or about upcoming litters. We are a new rabbitry in the beautiful mountains of WNC. We are just starting off with Lionheads which we have fallen in love with. Like us on facebook to get updates on what we currently have in our rabbitry. Small rabbitry in stanly co., NC with about 40 holes silverfox/tenn redbacks/lops/. Raising Mini Rex rabbits in the Raleigh area for pet and show quality. Member of the ARBA. I have a small number of rabbits focusing on disposition, personality, and type. I usually have pet, breeding, and show quality rabbits for sale. Our house, set on 5 acres of land, is a gem in the countryside outside of Asheville. I built a rabbitry in the woods below our house where our Standard Rex and Angora can happily live, no matter what the weather! I am a naturally inquisitive person, and I have put hundreds of hours into research, workshops, YouTube videos, farm visits and experience to gather a wealth of knowledge to make sure my rabbits are kept as happy and healthy as possible. I have between 4-6 Breeding Rex Does at any given time and 2 Breeding Males. I mainly produce Black and Black Otter, Brown and Brown Otter, Lavender Otter, Red Eye White, Blue and Blue Otter babies. We raise them for Meat, Fur and Pets. I tan the furs myself and macerate the bones to make jewelry and other items. We make rabbits feet for key chains and anything that is left is buried in our garden for fertilizer. I provide workshops as well as rabbit help/guidance. I love teaching new rabbit breeders (and often people who have been doing it for awhile)! We raise the Angoras for their wool, as I work at Echoview Fiber Mill and am an avid spinner. I keep a couple of breeding females, one breeding male, which is a full German and two spayed males. I will spay males for an extra fee. I only breed my Angoras occasionally, so please contact me for details. We also run a small garden and AirBnB, so it’s a great destination if you want to come check out our Rabbitry. I always keep my website updated with Buns in the Nestbox as well! Here at Abundant Meadow Rabbitry we mainly breed pure bred American Chinchilla Rabbits. We also sometimes breed pure bred New Zealand Rabbits. There is no inbreeding with are rabbits and all are very well taken care of. Our rabbitry raises pedigreed purebred rabbits. Show quality & friendly pet bunnies available just outside of the Raleigh / Durham area. Specializing in smaller breeds 2-4 lbs. We are members of ARBA. Small Rabbitry founded on 2009 with less that 18 holes..We raise quality rabbits for pets. We are located on the beatiful heart of North Carolina, Near Jordan Lake ( APEX 27523 ), proud member of ARBA SINCE 2010. All our bunnies are consider part of our small family, they are born, raise an kept on a clean and secure environment. We mainly raise New Zealand, Dutch, Lionheads, Hollands Lops, Mini rex, Rex. Please visit our website. We are a small rabbitry located in Asheville raising Holland Lops and American Fuzzy Lops. We strive for quality and have show,brood and pet rabbits. The Rabbit Barn is home to many rabbits. I specialize in meat rabbit (New Zealand & California) and also carry pet rabbits. Meat rabbits can be purchased for stock or dressed, ready to eat. Also in the barn, you will find chinchillas, sugar gliders, hamsters and mice. We have Lionhead mixes in a wide range of colors. These are not pure bred but the father is. We breed for gentle temperment and appealing colors. We have recently relocated to North Carolina and want to make it clear that these rabbits are pets and not food. Our rabbits all weigh less than 4 pounds. We are a family owned, small, Rabbitry in Southeast North Carolina. We specialize in Blue and Red New Zealands. All of our bunnies are 4 generation pedigreed. We are A.R.B.A. members. Check out our F.B. page for latest availability. Duplin New Zealand Rabbitry. We raise and sell quality Holland Lop rabbits in an environment like no other. They have 2 story hutches inside of huge 10 X 10 covered lots where they can romp and play and climb on rocks and go through tunnels. The boys are separate from the girls and the babies are healthy with fresh air and sunshine on them whenever they want. But when it is hot, fans cool them as do the huge trees they nestle under which also keep the cold winds off of them in the winter. Inside the hutch nice thick nests of straw awaits them for bedtime. Fun toys are inside and out to chew on and play with. They are handled daily which makes them very friendly. A small rabbitry dedicated to preserving the standard of perfection for the Holland Lop breed. Not only in conformation but in temperament! I love this breed and they make the best pet and companion! They have great personalities and they are so adorable with their big eyes and short floppy ears and such thick soft fur! They love people and are also great with other gentle pets. My bunnies are raised in a clean, healthy environment and only given the best quality food. I have a very high standard of cleanliness in my rabbitry and it shows in their health and happiness! I give my bunnies daily individual attention and handle the babies daily so they are used to LOTS of TLC from day one! I often have babies available for sale and sometimes young adults also. We breed a limited number of rabbits each year, with young rabbits becoming available usually in May and June. We usually have friendly adults for sale all year around. Our rabbits are pedigreed but not guaranteed to be show quality. Hey there! I’m from a small town in North Carolina! Castalia, most have probably never heard of , lol ! I’m just starting out with my rabbitry . I’ve had bunnies for years now and finally decided to let my herd grow! I have lionheads and Lionlops mostly but have recently introduced holland lops to the herd! Please check my babies out! New opperation, we have several New Zealands, white, black and red. And several Silver Foxes. Member of the ARBA. We are a small rabbity serving the Charlotte, lake Norman, and surrounding areas with the finest pedigree Holland Lops available. Since we are small we are able to hold each rabbit daily, making sure that each one is health and accustomed to be held so that your family can enjoy a pet that enjoys you. We have a small rabbitry in Cleveland, N.C. We are members of varies clubs including the ARBA! We breed lionheads, Holland lops, and Holland Fuzzy Lops. All of our rabbits are kept inside and handled on a daily basis. The great thing about having a small rabbitry is it allows us to have plenty of time to handle and spoil each one of our bunnies. This helps with socializing and creating great temperaments. All of our baby bunnies are also introduced to a litter box at an early age. We strive to have excellent quality, healthy, and loving bunnies. 2 sisters Netherlands Dwarfs. One white with black markings (Broken Otter). The other black (Otter). Born Oct. 12, 2015. Both have papers. Grew up indoors. Use to people holding them. Diet of pellets and hay. Occasional carrots and wheat grass. 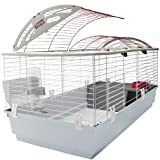 Includes 2 cages (18×40 loft and 18×29), water bottles, food, hay bins and Dwarf Rabbit book. It’s a must that they be sold together. No exceptions. Total cost: $150. We are a small Rare Heritage Breed rabbitry founded in 2009, we are located in Harnett County, North Carolina. We are members of and our rabbitry is registered with ARBA, as well as NSFRC. We breed quality rabbits for both show and food source. We have a variety of Silver Fox such as the black, blue and chocolate. All of our show rabbits come with a tattoo and pedigree. We do not sell bunnies under 8 weeks of age. We are a small breeder of Mini Rex, French Angora, and Silver Fox rabbits in North Carolina. We are a small, hands-on rabbitry specializing in blues and blue torts, otters, and blacks. We also have torts. Striving to breed and raise show quality and brood quality rabbits. We do occasionally have pet rabbits for sale, but will not sell at Easter. Member of the Holland Lop Rabbit Specialty Club, A.R.B.A. and the Blue Ridge Rabbit and Cavy Club. We breed show quality Holland Lop Rabbits and provide great pet rabbits to the Charlotte, North Carolina area! I have a very small rabbitry, with 2 does and 3 males at this time. We are a family owned that we do from our home. We give all our rabbits the attention they deserve. We will NOT sale a bunny under 8 weeks of age. Casey and I are hobbyist rabbit breeders located in concord NC. We both have a love for animals and wanted to be able to share the joy and happiness we feel since having adorable rabbits. I know i love the time i spend with mine. We have a selection of Mini Lop, Mini Rex, Lionhead, Netherland Dwarf and Dwarf Lionheads. We are also on facebook look us up at www.facebook.com/CarolinaCottontails. My daughters and I love our rabbits. We have a nice climate controlled rabbitry that makes the Bunnies feel wonderful. We have our bunnies on breeding schedules so we will know what bunnies we have coming,this insures our moms get much needed rest to have healthy babies. So if your looking for a bunny check us out. We also offer accessories and training to get you started on the right track with your new addition to the family. Small Family Rabbitry specializing in Silver Fox breed. Blue is our main color although we have just introduced some black Silver Fox for genetic diversity. We have a small rabbitry outside of Davidson NC where we work hours with the rabbits on a daily basis to make sure they get interaction and socialization they need. Also a clean environment is very important for the health of the bunny, our rabbitry is only devoted to rabbits (no other farm animals) with adequate ventilation and insect controlled with fly predators and ivomectin. Pedigreed Holland Lops…..Small hobby breeder with emphasis on quality and care in our climate controlled bunny building. Babies and adults are handled and interacted with daily. Very sweet and calm bunnies. Adults are wormed on a quarterly basis as well as babies at 7 weeks. We specialize in BEW’s, VM’s and sable points. We are an open rabbitry and take pride in matching families with the perfect bunny! We can be reached at www.thebunnygirl.webs.com or call 704-614-9664. Member of ARBA since 2010. Pedigree English Lops & Holland Lops. Located In Denton NC 27239. Father and son team that raise pedigreed Netherland Dwarfs. We have mostly solid colors chins, otters, silver’s, and chestnut. But getting into the broken colors as well. Our lines include Bond’s, Smith’s, Rieman’s, Critterranch. We occasionally have adults and babies for sale. Check out our Facebook page janddrabbitry and like our page. Rabbits we have for sale will be on there. Hello. My name is Jase Wagers, I own Snow’s Farm in Ellerbe NC. I was wondering if you could edit my listing please. We have changed up our rabbit breeds. The breeds we are currently working with are: American Chinchilla, Crème D’ Argent, Champagne D’ Argent, English Lop, Silver Fox, and New Zealand Whites. If you could please update this I would greatly appreciate it. Thank you! We are a small rabbitry located in fayetteville nc specializing in breeding quality American chinchilla rabbits. Our chinchilla rabbits come with pedigrees from great stock with grand champion bloodlines! We also have New Zealand rabbits that we sell as pets or meat rabbits. WE DO NOT SHIP OUR RABBITS!! We will try to make arrangements to deliver when we can. Or arrange pickup from a mutually agreed upon location for a fee. The American chinchilla rabbit Is a beautiful and smart rabbit that is At risk of being added to the endangered list so if you are thinking of raising rabbits they would be a great rabbit to concider. For more info on prices and availability please drop us a line at rfields684@gmail.com or call or text us. At Red, White, and Blue Rabbitry we specialize in raising pedigreed New Zealand and Standard Rex for meat, show, and pet. I have red, white, blue, and some black New Zealands and chocolate and broken chocolate Standard Rex. I selectively raise my rabbits for several qualities including: temperament, litter size, and growth rate. I almost always have something available, everything from just weaned to proven bucks and does. Offering Quality Show Or Pet Rabbits. Please message me or visit me at facebook.com/CandacesBunnies. Breed and sell English Lops for pets. Contact me if you are interested! We breed Holland Lop, English Lop and French Lop rabbits in NC. Our rabbits are pedigreed and many are shown locally. We are members of ARBA and LRCA. We are a small rabbitry of about 70 does. We are hoping to get bigger & better to make it a full time job.I love raising rabbits wheather its for pets or for the good healthy food they provide. In order for us to keep growing, we have to sell also. So if your looking for rabbits , we hope you will give us a call.We like to sell them at about 4 1/2 – 5 lbs. Tks. & hope to hear from you.Please email , text, or call . I am on facebook . Look me up under David Bryant. I have pictures there you can view of our rabbitry.We are between Hickory & Morganton , N.C. Specializing in the rare Creme d’Argent rabbit breed. We have pedigrees for all of our rabbits. We raise them for multiple purposes. Showing, meat, fur, and as potential pets. I breed Tennessee Redbacks which are as close to a wild Cottontail as You can cage raise. 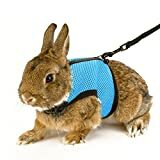 They are used for release to the wild for replinishing/restocking areas, for training beagle pups and for stocking Running Pens.This rabbit is very agile and sturdy. They are also very quick footed and closely mimic the lines that Cottontails run while in the wild. I have 13 Does and 3 Bucks now as I have downsized from the 70+ Does I originally ran with the first Rabbitry. I am currently attempting to complete a Book about this Business startup, including HOW TO assemble the cages, the tools used, the various watering and feeding methods, etc and had completed that portion and then I saw/heard a need for expanding the information into Running Pens and the Acclimation of these rabbits to the Pens. So I am presently compiling pictures and more information directed at the Pen area. I raise Tennessee Redbacks, I have 20 does at this time and am planning on adding more. 8 week olds $10.00 each you can contact me at 336-512-8847 or jewellalan@hotmail.com. We are a small, family owned/run rabbitry in Eastern Carolina specializing in show quality (and loving pets) mini rex and jersey wooly breeds. All our rabbits are our pets and part of our family as well as part of our “herd”. Brown and White and Black and White Dutch for sale in August 2018. Rex young rabbits for sale. Have some lop ear. Getting back into after 25 years of being out. Mainly for meat rabbits but will sale some as they are available. I am a small rabbitry focusing on showing and raising quality animals. My rabbits are raised in a climate controlled environment attached to my home for the safety and monitoring of my animals. I breed not for numbers but for show quality. All of my babies are handled daily. I only have a couple of does I breed at a time to not over populate which my cause a waiting list at times. No matter whether a show quality animal or a pet/wooler they will come with a lot of love put into them. I do take deposite of 50% of the price of rabbit whether on waiting list or current animal. I am in love with Holland lops and their personalities and friendliness. I am breeding to show the Holland Lops and to provide top quality pets for families. I am a small rabbitry with big plans! You can check my website or facebook page to see if there are any rabbits ready to go to new homes. All my babies are held constantly and are very friendly from day one! LIKE my facebook page at www.facebook.com/BevsBunnyhome and get updates. Looking forward to hearing from you soon! Our rabbitry is located in the mountains of Hendersonville North Carolina. We have been raising rabbits for breeders and for meat. We raise white and red New Zealand Rabbits. We also raise Californian Rabbits. We have Lion Heads for pets. We sell four different breeds of rabbits. We are a small family owned and operated Rabbitry. Our rabbits are healthy, well maintained, hand held and pedigreed. We have a nice quality line of Champagne D’Argent’s, New Zealand and Californian. We buy and sell rabbits for meat, breeding stock or pets. King’s Rabbitry was established in March 2012. We have 2 does and one buck. Our does are named Snuggles and Sniffles. Snuggles is a blue/gray color. Sniffles is a broken white and gray/blue . Snickers, the buck, is solid black. Snuggles just gave birth to her first litter on June 25, 2012. She had seven babies that are healthy and happy! King’s Rabbitry is located in the Eastern Burke County of North Carolina. Regina has had several pet rabbits and adores bunnies. Her love of bunnies is what brought about the establishment of King’s Rabbitry. She and Shannon love watching the babies grow and change each day. We are a small rabbitry in Hillsborough, North Carolina. We have many different breeds of rabbits, they vary in size and color. Rabbits are very good pets, and with the right care, and lots of love, they can have great personalities too! We would love to match you with the perfect pet. The Homestead Rabbitry was established in 1948 at North Branch Station, NJ, and continued until 1964. During that time, the principal breeds raised were Champagne d’Argents and Standard and American Chinchillas. The rabbits were shown and won at local, state, regional and national conventions. The rabbitry owner, Dr. Wesley Kloos, was an ARBA judge and registrar in the 1950’s-1960’s, then retired upon entry into the US Army Medical Service Corp. After retiring as Professor of Genetics at North Carolina State University, Wes and his wife Deborah re-established the rabbitry in NC in 2010. The new Homestead Rabbitry stock descends from lines of Ed Hildebrand, Ray List, Bobby Crosby, Nathan Persinger and Jerry Fisher, and many of those lines originated from the stock of Wayne Cleer. Champagne rabbits gain weight rapidly and have a high “dress out” percentage and meat to bone ratio, making them ideal for commercial or home meat production. In keeping with the longstanding WNC tradition of sustainable agriculture, The Homestead Rabbitry continues to produce breeding stock for both show rabbits and meat production. Chingora is a small family owned rabbitry (ARBA members) located in the Hudson area of North Carolina at the foothills of the Appalachian Mountians. We raise meat and fiber rabbits for the purpose of breeding stock, rabbit shows, spinning fiber, rabbit sales, and of course for great pets. Most all of our rabbits have pedigrees and are registered with ARBA as soon as they are old enough. We have five different breeds of rabbits. Each rabbit has two sources of water, a feeder, hay rack, two types of toys, and scheduled run time for exercise. All rabbits are feed a high quality diet with natural treats from our garden. We have 14 rabbits/pets for our breeding stock. Come and meet our Am. Chins and our Angoras at Chingora Rabbitry. We are a local rabbitry, specializing in the Lionhead breed. We serve Charlotte, and the greater Peidmont area. My husband and I opened our first rabbitry the Spring of 2004, in a small town in Florida. There, we raised Netherland Dwarfs, Lionheads, Hotots, Holland Lops, and Polish rabbits. We were always fond of the Lionheads because of their sweet temperaments and curious nature…..We closed our rabbitry in Florida, to begin our family. Now that our 3 children are getting older we have been welcoming our furry friends, back into our lives. Shortly after our relocation to North Carolina, we decided to find some Lionhead bunnies, for our children to raise. We soon realized that it proved to be a nearly impossible feat. We traveled all over the place, following ads that “claimed” to be selling “Lionhead” bunnies…… however, we knew better. It was sad to see that the breed quality of a “lionhead rabbit,” was well below standard, for our new area….. After a couple of road trips out of state and all around, we found just the perfect bunnies for our family. It is this experience that made our decision to open our rabbitry, here in Kannapolis, North Carolina. We specialize in Purebred Lionhead Rabbits. They meet breed standard in color, size, and mane…….AND……they are just as sweet as they are adorable! ***All of our bunnies are raised with our 3 children, ages 4, 6 and 7. They are socialized and handled and their temperments reflect all of this love. Out of Kannapolis, N. C. We love our fluffy lovable English angora bunnies! Visit our Facebook Page HAMPSHIRE ENGLISH ANGORA RABBITRY for adoptable bunnies. Our bunnies are available to rent for photo sessions and bucks are available for breeding for a small stud fee. Mini-Rex rabbits ranging from bunny to full grown rabbit. Have been raising rabbits as back yard hobby for the past two years. Enjoy everything about these little guys. When it comes to colors I have to say almost every shade in the Rainbow: grey, white, amber, crème, black, and also different eye color to boot. I do not have the farm registered with a true blood line nor are these show rabbits. however for a pet and loving animal these little guys fit the bill. currently have around 7 bunnies, 12 half grown, 4 full grown and a dwarf just for company. A grandfather,father, and son rabbitry started as a hobby and now a family business. Selling rabbits for meat or pets. Rabbits are very gentle and make great pets. Please contact us for any of your rabbitry needs and we will be more then happy to help you! Thank you and God Bless. We raise meat rabbits and breed to achieve desired traits, health, size, litter sizes being the main traits we breed towards. We usually have a stock of rabbits on hand ready to add to your breeding stock. Call for more information. Over Time Rabbitry is located in laurinburg, NC. We have mini lops, mini Rex, lion heads, and a dutch. We breed them for pets only and not for meat. We raise top quality New Zealand whites out of Graham Russel’s line for meat, pets or breeders. We also have some adorable Hollands- black, tort, solids and brokens. We sell the Lops for pets, breeders, or show. We almost always have some ready to go. We specialize in Holland Lop Chocolates and chocolate otters. Hamilton’s Hoppin’ Lops is a small rabbitry located in the mountains if western North Carolina. Holland lop rabbitry. Working with VC, VM, and BEW genetics. Wren bloodlines. My Father n Law and I have been starting out in showing our Tans and the Dutches. Our Rabbitry is a nice place and its big. We take alot of pride in keeping the rabbits clean and most of all healthy. We also like telling friends about them. We also like giving rabbits to good homes and to kids, who love them. Brier Patch Bunnies is dedicated to preserving the treasures of yesterday for tomorrow’s generations. We are members of the ARBA and the National Silver Fox Club. I have always loved animals and often dreamed of having a farm where I could raise and keep all my favorites. I didn’t even realize until I got involved with Spanish Mustangs that there was such a thing as “Heritage Animals”. I started studying them and realizing that as a society, we are in grave danger of losing what should be a national treasure. All species of farm animals that were developed in the early years of our country or that were here before we became a nation, are in danger of extinction. Sadly, we have already lost too many. It has taken me a while to get my rabbitry together and I still have a lot yet that I want to get done but I have taken the first step. I have chosen the Silver Fox Rabbit—which is listed as “threatened” on the Livestock Conservancy page and I have future plans to add several other breeds of rabbits. The Silver Fox Rabbit is a beautiful rabbit with short dense fur—that is comparable to the Silver Fox. They are valuable for not only their fur but also their delicious meat. The Silver Fox has a wonderful temperment and is easy to raise. They are sturdy, compact rabbits–weighing between 8 – 11 lbs. We also help out with the conservation of Spanish Mustangs—and am proud to own two of them. Do your part and help preserve America’s Heritage! I have just begun to raise rabbits. I am looking to raise meat rabbits to sell and eat. I presently have four bred does, two bucks, three does that are 6 weeks old. I am planning to raise more as I learn the ins and outs of rabbit farming, and as I learn how to market them. Riverdale Rabbitry raises show quality Silver Fox, Giant Chinchillas and American Blues as a part of our larger farm on a historic plantation in rural North Carolina. We raise our own organic GMO free vegetables for ourselves and our animals. Our primary focus is the Silver Fox breed and development of the chocolate variety. We have several lines here and raise all four colors recognized by the NSFBC, black, blue, chocolate and lilac. Only the best leaves our farm, if I would not proudly show the rabbit it does not leave. Our stock has been carefully brought in from all over the US. Giant Chinchillas are a favorite breed of mine that often gets over looked as a high quality multi purpose rabbit. American Blues are a new addition here but are very sweet, easily handled rabbits. The current line comes from multi champion stock over generations. Our focus here on our farm from the heirloom vegetables to the rare breed livestock is to make sure they do not get forgotten in our fast paced world. Quality New Zealand and Californian meat rabbits. We buy and sell rabbits for meat , pets, or breeding stock. Fryers sold for meat for humans or dog food. 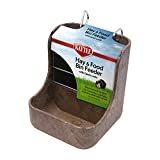 Also, have rabbit supplies and cages available. We breed a variety on non registered rabbits. The rabbits we have are bred for consumption purposes and our goal is to produce the best quality meat rabbits possible. Our rabbitry consists of New Zealand’s, Altex, Flemish Giant crosses, NZ crosses, Californian crosses, and Altex crosses. We are a 250 doe operation located in the foothills of NC. We have been raising rabbits as a hobby for a couple of years, and have finally transitioned into becoming a business. We have set a goal for ourselves to become the largest meat rabbit producer in NC. We raise mainly New Zealands and Californians, but you can spot a Chin hybrid among our groups. We have a homestead and rabbitry in Mars Hill which is 25 minutes north of Asheville, NC. These rabbits are beautiful and make wonderful mothers. We keep them for meat, furs, and pets. Our rabbit are fed a lot of fresh grass and weeds and they spend time in rabbit runs in our garden. We are open to rabbit trades as well. Small rabbitry in Marshville, NC raising and showing english lops, holland lops, velveteen lops, and blue flemish giants. Breeder of happy healthy rabbits that are handled on a daily basis. rabbits come with transportation crate, starter bedding and feed. Text 704-759-6623 for fastest response. Many Rabbits to choose from..
Small family owned rabbitry. We have has mini rex rabbits for almost a year now and just started into the American Chinchillas. We raise mainly pet mini rex but I’m trying to develop show quality. My American Chinchillas are still too young to breed so it’ll be a while before I have anything from them. We are an ARBA Licensed Holland Lop Breeder located near Mooresville, NC. We are a small family dedicating our time and love to raising supreme cuteness, upmost adorability, and sweet love of the purest white and softest variety. The love between our Doe—‘Edelweiss’ and her Buck—‘Ice Cream’ blesses us with sweet baby ‘vanilla scoops’ and bright blue eyes! If you are interested in giving one of our precious babies a forever loving & cuddling home, please contact one of the Bunny Mommies… Donna Sue & Jenna Sue Bennett (Mother/Daughter team) at or text (704) 402-0033. We will be glad to answer any questions you may have or to put you on a waiting list. Thank you. Californian, New Zealand – white, red, Flemish Giant (Fawn or Sandy), Checkered Giant, Mini Lop, Lion Lop and Lionhead. And? 100 hole + OPEN Rabbitry visors are welcome, offering many different breeds and sizes (3# to 18 +#) always adding new ones. Members of ARBA, many of our rabbits have full pedigrees. We carry; meat, meat pelt, fryers, breeders, show and pet. Mary 704 663-0686 please leave a message or go on our facebook page; Rabbit Habbit Rabbitry of Mooresville, NC, rabbit information, health, different breeds, pictures of what we have available and recipes. If we don’t carry the breed you want we’ll try to help you find it. Small hobby farm raising Thriantas, Nubians, Blue Laced Red Wyandotte Chickens for eggs and organic gardening. We also raise and train Shetland Sheepdogs for show, agility and therapy 24 years experience. We are a small family run rabbitry. Teaching our three children about running a business and a strong work ethic. All of our babies are handled daily and are spoiled. Mini Rex in blue, black, tri, magpie, chinchilla, sable point, bew, chocolate, harlequin and broken of these. I am located close to Charlotte, NC. I am a small rabbit breeder in NC who raises Lionhead pet rabbits. Check out my website for education on Lionheads, tips and tricks on raising you furry fluff-ball and be on the look out for babies who are looking for a new home! Specializing in American Chinchilla and German Angora rabbits. AmChins for show and food source and German Angoras and Angora hybrids for fiber arts. My name is Anthony Childress and here at mountain valley Flemish we raise quality Sandy and fawn flemish giants for show and pets.you an see our rabbits on face book (mountain valley flemish). Hoots Fuzzy Lop Rabbitry is a small Family Hobby started from the Love of Bunnies and desire to work with fibers and 4H and as part of our homeschool. The kids created and run the website and help maintain the care of our fuzzy luvs. We operate a small, family operated rabbitry in Plymouth, NC. We produce show and pet rabbits. Small rabbitry focusing on well socialized, (tame and friendly) humanely raised, high quality family pets. We specialize in Dutch rabbits in black, blue and chocolate. We have babies available from time to time and do keep a wait list. Please contact us for more information. We also rarely have baby French Angora bunnies available as well. We raise sociable friendly, easy to hold Hollands. Extra small ‘dwarf’ size, Lionheads and some Lionhead Holland mixes..
typically combined with Lionhead standards. We are mostly a New Zealand rabbitry, but we have a few dwarfs, and California’s. Good pedigree rabbits disease free all liters have been bred in site. I raise New Zealand rabbits for meat, and show. I have a smaller rabbitry right know around 60 rabbits babies and up, but definitely will, and am growing. I buy and sell New Zealands. My name is Nicholas Newbold and I run Nick’hs Rabbitry in Richlands, NC. I have been raising rabbits for over 10 years. I currently raise purebred and pedigreed Mini Rex rabbits. The varieties that I work on are: black, blue, otters, chinchilla, red. I am now starting to work on chocolate, tri color, opal, and REW as well. I am fairly new to showing, but I have already been to some shows and I have done quite well. I hope to be able to participate in more rabbit shows, and to be able to help those that may be interested in showing rabbits. Find me on Facebook. My page is Nick’s Rabbitry. Here at The backwoods Harehouse we breed rabbits for wool and for meat. We have American Chinchilla, French Angora, Standard Rex and will be adding Red New Zealands in the months coming. We are a small rabbitry and use methods natural methods to raise our rabbits. We are family based and are happy to supply for meat, wool, rabbitry and pet purposes. We are also happy to answer any questions and to teach what we know to anyone willing to learn. You can find pictures of our breeders, past litters, litters available now, up coming litters, tips and information at our website www.thebackwoodsharehouse.weebly.com. Cuddle Bunnies is a Registered Rabbitry with The American Rabbit Breeders Association. We specialize in English Angoras. All of our rabbits are housed inside in temperature controlled housing to make sure they are healthy and family friendly when they go to their new home. Hello, I raise NZW, Califorians, and Tennessee Redback. The NZW and Cal’s make excellent meat rabbits and pets. The Tennessee Redbacks are used to train young pups, and to re-stock hunting lands. I also use rabbits as part of your pets RAW diet. We are a new rabbitry in the Western North Carolina area. We are family owned and operated working towards providing affordable, healthy rabbits. Rabbits are available both as pets and for consumption. We are a 1st year Rabbitry – We currently are raising Mini Rex and Mini Lops – We hope to have a hybrid of Mini Rex-Lop’s this fall. At Oak Grove Farm we are passionate about our animals! We are located in Shelby, NC and raise several different breeds. Our focus is on dual purpose rabbits and we hold endangered breeds close to our hearts. Check us out on Facebook and if we can be of service to anyone, please don’t hesitate to contact us! We are members of ARBA! I have a hobby rabbitry in central North Carolina where I raise several breeds of rabbits. My rabbits are purebred and most are pedigreed. I raise quality rabbits for breeding and showing. I don’t show rabbits myself but a few of my breeders have been shown and a lot have show lines in there background. Thanks for looking, Delbert. We started breeding rabbits after falling in love with 2 beautiful white and yellow bunnies purchased for our two daughters. One was a beautiful white New Zealand and the other a fluffy yellow Flemish Giant bunny. Petting them is the best relaxing therapy ever experienced. We now have over 100 bunnies that are well taken care of in a natural and clean environment. We want to share our joy of owning bunnies as pets with you. The New Zealands are $20. And the Flemish Giants are $25. If you a re ready to own one please feel free to contact us. Our Rabbitry is located just 35 min’s from Charlotte and Winston Salem. We are only 100 miles from Asheville. We carry English Angora Rabbits as well as the very rare Giant Angora Rabbits. Our rabbits are breed for their luxurious fiber-which is a dream come true for spinners, great disposition (all rabbits are handled and talked babytalk to daily), and are extremely healthy. We also raise rare heritage sheep , Harlequin’s (minature ) and Southdown Babydoll Sheep. We love our little farm and hope you do too ! Specializing and raising only pedigree purebred English Angora Rabbits. We have 3 does and 1 buck all which have pedigree. They are handled daily, groomed and well maintained. We are a small rabbitry located here in Stedman, NC. For questions and future litters pls email at kjleach@embarqmail.com or feel free to call me at 910-916-9985. Small Homestead Raising Rabbits for Pets and for Meat. I breed pet and show quality Holland Lops, Lionheads and Velveteen Lops. We have been breeding and showing our New Zealand whites and Californians for 20 years. It all got started with my daughters receiving Easter bunnies and progressed to now over 200 holes. Our interest in showing our rabbits required upgrading to show quality stock from the top breeder lines in the country. We cull for meat and keep the best for showing and breed stock. Members of the ARBA(BOWMTIOO), AFNZRBA(31425), and NCRBA(1714). We are a small, family owned rabbitry. The Wabbit Warren is located in the NC Piedmont. All of our rabbits are humanely raised, with daily attention to ensure sociability and spot any problems immediately. Our rabbits are also fed naturally- eating hay, greens, grains, and herbs. We do not show ourselves, but many of our rabbts are show quality. We sell rabbits for pet, show, breeding (we can help you whether you breed for pet, show, meat, fur, ect. ), and raw feeding. Please visit our website! And feel free to email us with questions. We raise pedigreed Holland Lops and Mini Rex in many colors including blue eyes. We have also just added blue eyed Dutch rabbits. Specializing in smaller breeds. Pet and show quality available. We are a small, family owned rabbitry. The Wabbit Warren is located in the NC Piedmont. All of our rabbits are humanely raised, with daily attention to ensure sociability and spot any problems immediately. Our tabbits are also fed naturally- eating hay, greens, grains, and herbs. We do not show ourselves, but many of our rabbts are show quality. We sell rabbits for pet, show, breeding (we can help you whether you breed for pet, show, meat, fur, ect. ), and raw feeding. Please visit our website! And feel free to email us with questions. We are a small family owned rabbitry located in the piedmont of North Carolina. After much research we decided to specialize in the heritage rabbit breeds American Chinchilla and Silver Fox. Please look around the website and contact us with any questions you may have. Located in the Carolina foothills, Re-Ride Rabbitry is breeding and raisng quality meat rabbits. We pasture raise our grow-outs in pens that are moved twice daily to fresh “salad bars” at Sandy Plains Farm and they are also fed a high protein feed. Our breeders are located at the closed rabbitry at the “440”. We are working on mixing and matching our breeders for large litters and rapid growout with a higher meat to bone ratio. Check out the blog at www.sandyplainsfarm.blogspot.com . Small family owned rabbitry raising New Zealand meat rabbits and Lionhead bunnies for pets. We raise New Zealand Whites mainly for meat but sometimes will sell as pets or breeding stock depending on the rabbit. Our Rex rabbits are pedigreed and their parents are show stock that came from different states. We plan to sell the kits for $40 when they are between the ages of 8 weeks and 16 weeks. Once they are past 16 weeks we will sell them for $50. Prices may vary. We can provide a pedigree if it is wanted. We currently have 3 breeding NZW does and 1 NZW buck. We also have 1 castor rex doe, 1 black rex buck, and 1 broken blue buck. If you ever have questions feel free to ask. As of 3/4/18 we have 8 rex babies that we will be selling. I believe 2 are white, 3 are broken blue, and 3 are either castor, blue, or black (I think). However they are only 4 days old as of 3/8/18 and will not be for sale until they are 8 weeks old. Genders are unknown at the moment. Raising quality Holland Lops since 1996. I’m a very small rabbit breeder located in Wake Forest, NC. Since my rabbitry is small, I am able to provide each and every rabbit with attention everyday. All of my rabbits are handled daily and have toys in their cages based on their interest. We are a small rabbitry, consisting of 30 ‘holes’. We are located on the beautiful Pamlico River. Our primary breeds are Mini Rex, Holland Lops and Jersey Woolys; we do however still breed Lionheads for pets, and have started taking an interest in E lops. We are members of 4-H and ARBA, our rabbitry is registered and listed on the ARBA web site. Our rabbits are all fed a diet of pellets, timothy hay and fresh veggies. We water them a minimum of twice daily, they are also handled and spoken to by name daily as well. We breed for temperament and also strive to better the breeds we promote. We are a small Rabbitry located in the beautiful mountains in Watauga County. We have been raising rabbits for over 33 years. Are goal is to raise meat, showable rabbits and secondary pet rabbits. We are a small time rabbitry, focused on providing the rabbits with the best possible life… They are fed greens daily along with fodder, which makes up the bulk of they’re diet in the spring and summer… Our Silver Fox are all pedigreed, and carry both the Blue and Chocolate genetics… Silver Fox are quickly gaining popularity as homestead rabbits because they have a better dress out weight than New Zealands and Californians, with better mothering abilities and higher milk production, they also do better on forage than the common’meat’ types. Our Silver Fox are show quality as well as breeder/pet quality… Our Mini Rex have won at several fairs, the buck is registered, our mini Rex a pet quality, colors include; Opal, broken opal, Castor, broken castor, black, blue and several other colors… Lion Head colors include black, broken black, broken silver, tri color… We also have other breeds available, contact for information… Thank you. I enjoy being Rabbits because I enjoy doing this as a hobby. I have a little child and he loves helping out. Lile’s Lops is a youth run Holland Lop and American Fuzzy Lop rabbitry in Western North Carolina. We strive to have quality, not quantity in our herd. Hollands are our main breed, and we work on torts, sable points, and some dilutes. Here at Autumn’s Little Animals we Breed, Sale , and Show Mini Rex rabbits! We also sell and show a few other breeds. We do not sell are babies until they are 8 weeks old and as soon as the babies can be reserved they go up on the site! I have started a small rabbitry with primary goal to raise meat and secondary pets. I purchased current mature stock from Carolina Pete’s Rabbitry (www.carolinapetesrabbitry.com) in Claremont, NC. Current mature stock consists of 6 New Zealand White does, 2 New Zealand White bucks, and one California buck. Their first litters arrived on and around 11/26/12 (33 out of 38 survived). With these litters, I expanded my New Zealand White does to a total of 13 for stock. My rabbits are fed high quality 16% protein feed and locally grown hay. I hand fed oats to our “babies” during the weaning process. All are healthy and strong. Looks like we’re in the rabbit business! Call for directions 910-918-3253. Thanks! My female is a chocolate torte angora and my male is a red eyed white. My first litter is 3 chocolate tortes , 2 lilac tipped red eyed whites, and 1 black. Garland Rabbitry is a micro family run rabbitry in Winston-Salem, NC. We breed for quality, not quantity. At least that’s my saying. They are well taken care of, handled everyday, and get free run time in a large back yard while being supervised. Here at Garland Rabbitry we do more than just pellets. We feed our rabbits fresh greens, oats, fresh fruit, hay, and pellets according to their weight. Our rabbits are healthy rabbits that do not eat commercial food, only grass, are very loved, and handled constantly. We will be selling lops, steel dutch, dutch and lop mix, and soon either tans or lionheads. We raise purebred & pedigreed Holland Lops of all colors outside Raleigh, NC. If you don’t find the rabbits that you are searching for in the state of North Carolina, I suggest that you check out the breeders directories that we have assembled for the bordering states of Georgia, Virginia, South Carolina and Tennessee. Locate rabbits for sale in Charlotte, Durham, Fayetteville, Greensboro, Raleigh, Winston Salem and many other cities across the state of North Carolina using our classifieds. Be sure to check out raising rabbits article and resource page for information about Raising Rabbits in North Carolina.